I came to this amazing, beautiful country in 2005. Right away, on my first week here I noticed two very wrong things with America. The first wrong thing was that the people at McDonald’s couldn’t figure out how to insert a tomato into my breakfast sandwich. Oh, you won’t believe the hell that broke loose at that California restaurant when I asked for a tomato in a sandwich that wasn’t supposed to have a tomato in it! I held the line for 30 minutes. If looks could kill, I’d have been dead 30 times that day. They did finally figure out how to do it, but I never asked for a tomato in McDonald’s ever again. The McDonald’s system I now get, but the celery top thingy? This I will never understand! 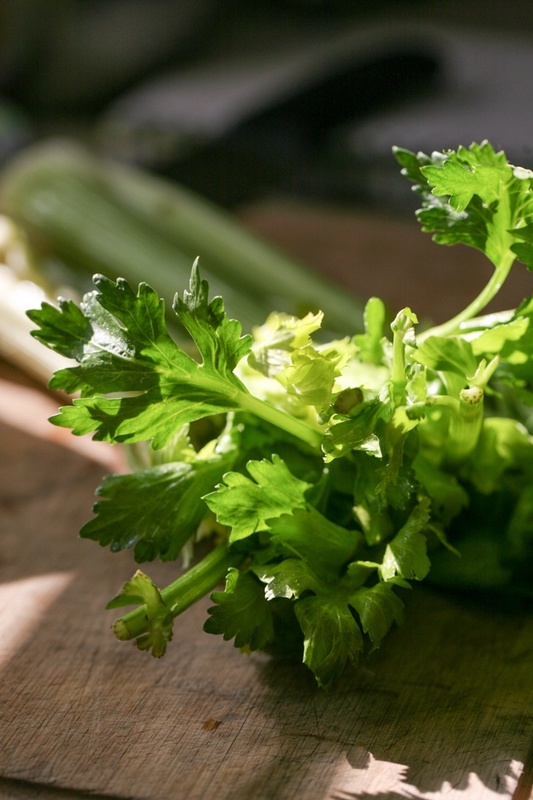 What’s wrong with the top of the celery? The leaves are the best part, people!! One day when I have time, I’ll form a war against the people who remove the tops of the celeries and go out to the world in search of those precious tops (please don’t tell me they just throw them away…), but until that day comes, I’ll have to either grow my own (unfortunately I’ve never been too successful with celery) or do with the tiny amount of leaves on the celery I get at the store. Don’t worry, though. 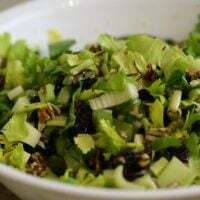 Even without too many leaves, this salad that I’m going to share with you is sooo darn good! 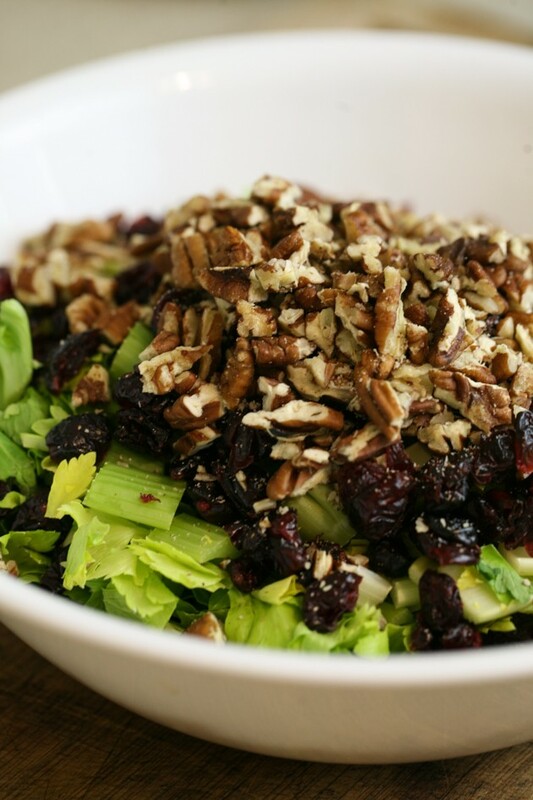 It’s the perfect winter salad. You’ll start with one celery. I remove the outside stalks and keep those for cooking and use the rest for the salad. 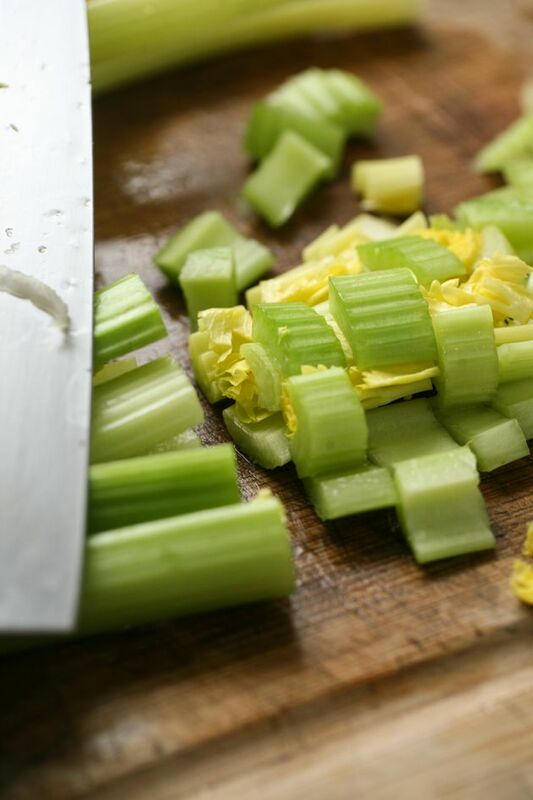 Chop the celery however you like. 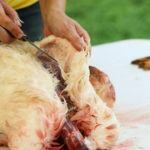 If there are stalks that are too wide, I usually slice them down the center and then chop. 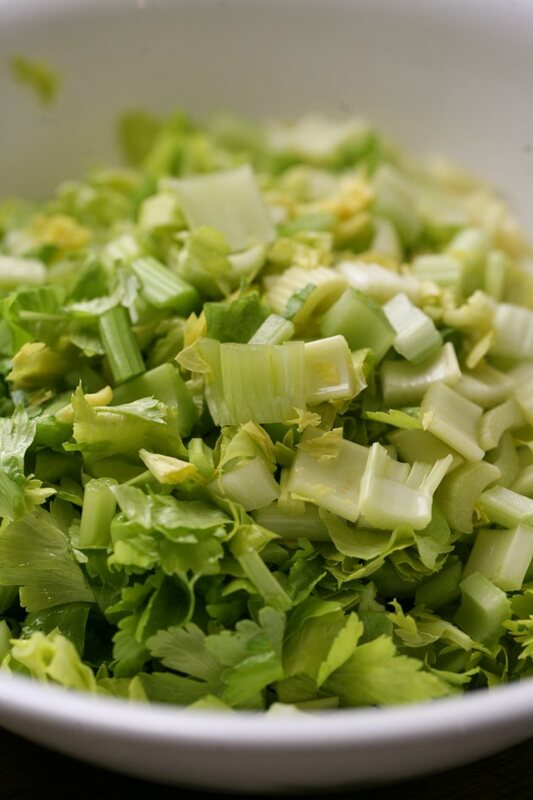 Add the chopped celery to a large bowl. I was pleased to see that this celery had a good amount of leaves hiding in its center! 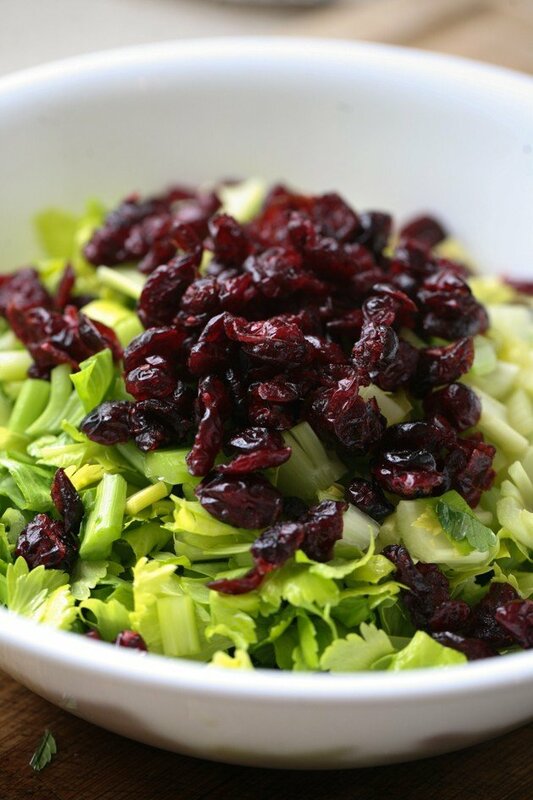 Then add about 3/4 cup of dried cranberries to the celery. Next, make the dressing. 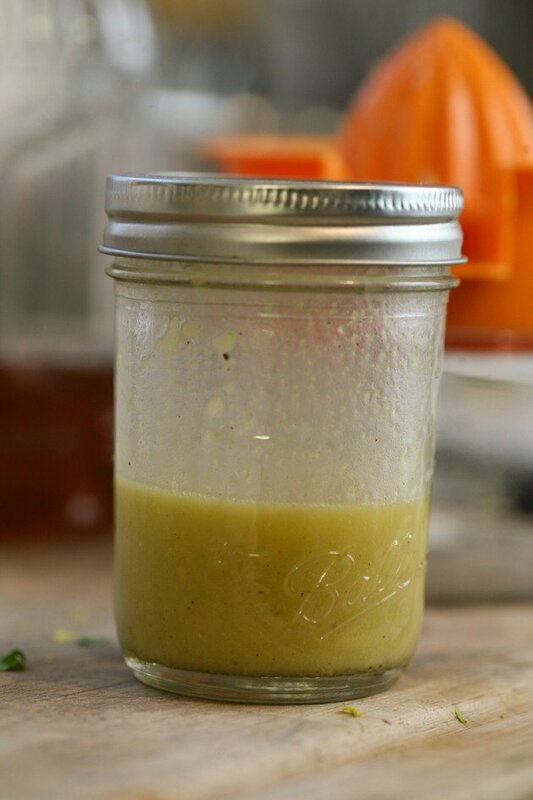 Add 2 tablespoons of olive oil to a jar, then use the same tablespoon to add 1.5 tablespoons of honey (the honey will slide right off the spoon), one minced garlic clove, one teaspoon of mustard, the juice from one medium lemon, and salt and black pepper to taste. Close the jar and shake well to combine all of the ingredients. 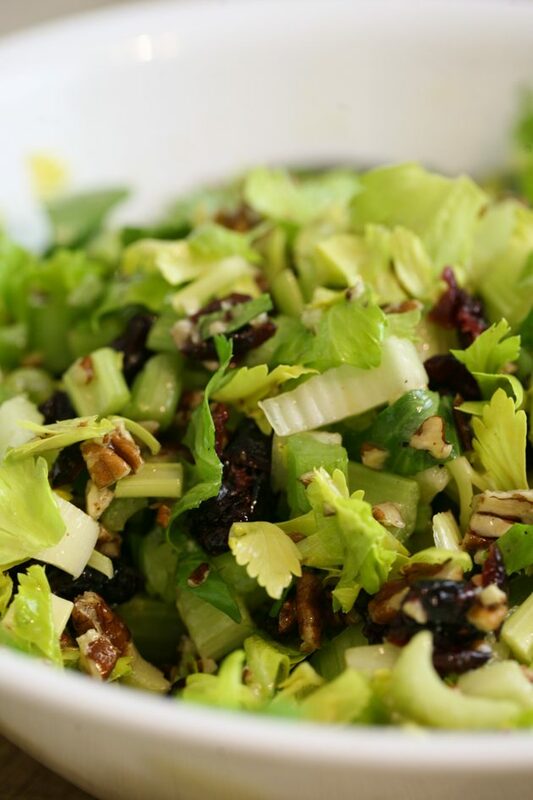 Right before you are ready to serve, chop about 3/4 of a cup of pecans or peanuts to add to the salad. 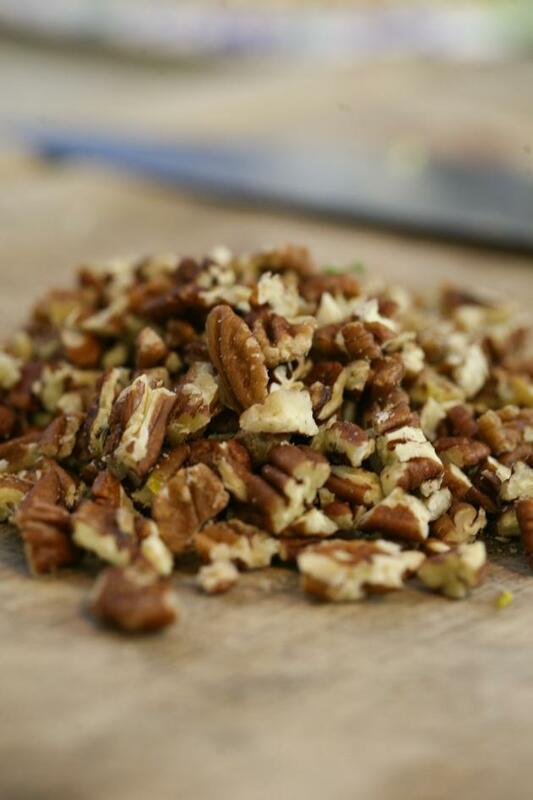 Those can be roasted, raw, roasted and salted… Whatever you like. Add the dressing and you are done! It’s simple, healthy, and so tasty! Just as I like it. 1. 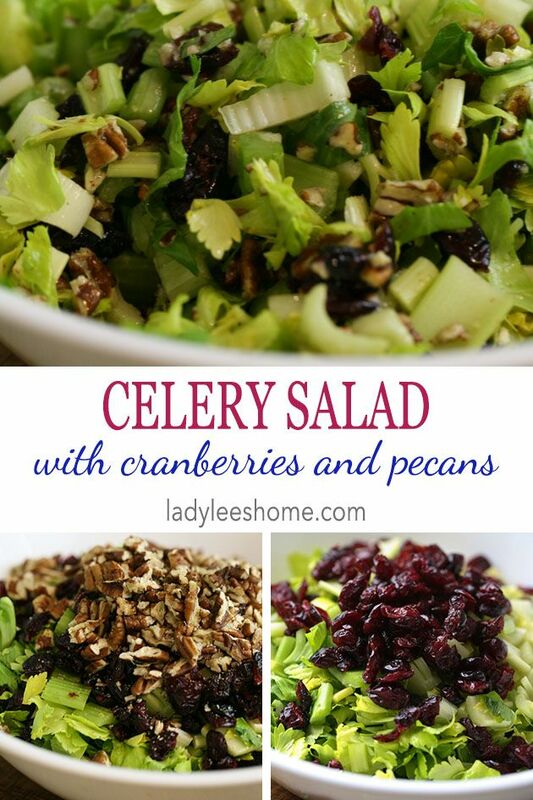 Chop the celery and add to a salad bowl. 2. Add the nuts and cranberries. 3. To a small jar, add all the dressing ingredients. Close the jar and shake well. 4. 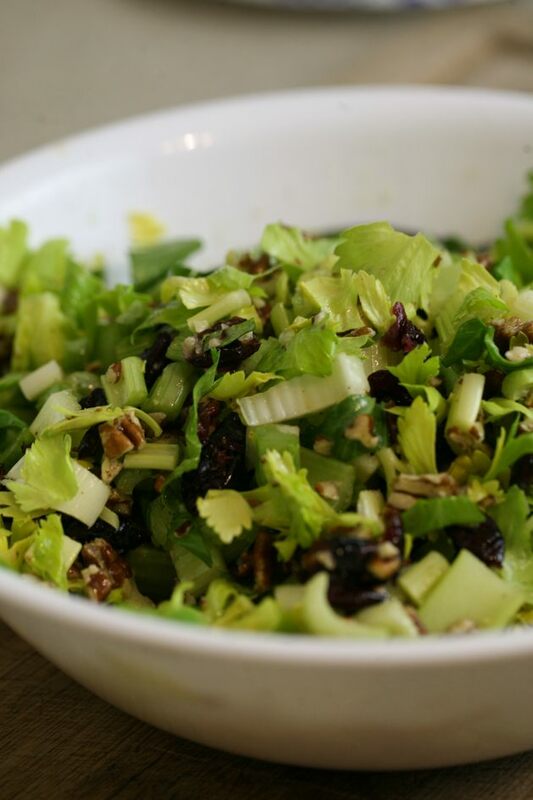 Add the dressing to the salad, mix and enjoy.